If you have a tooth that has become infected due to severe decay, you may need to have a root canal performed. 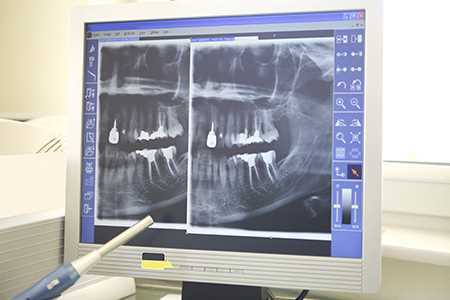 It is possible for patients to need multiple root canals or a subsequent root canal performed on the same tooth. If you believe that you need to have a root canal performed, call the professional team at Access Dental Care today to schedule an appointment. Why Does a Root Canal Need to Be Performed? A root canal needs to be performed to remove the pulp and nerve from a tooth that is damaged, severely decayed, or infected. When the tooth is damaged or decayed, it will begin to cause pain and the infection will eventually spiral out of control, if it is not handled in a timely manner and an abscess may form on your gums. To prevent the above from happening, the pulp and nerve from the interior of the tooth are removed. Every patient is different, but there are signs that will often present themselves that warn you that a root canal may need to be performed. If you are experiencing any of these symptoms, call our office right away to schedule an appointment with one of our dentists. When you hear the words “root canal,” you instantly associate it with pain, but the procedure is actually not painful and only requires the use of a local anesthetic to numb the surrounding area. In fact, most patients feel a huge relief once the procedure is done. If you need to have a root canal performed, you will come into our office for a consultation first to determine your exact needs. Once your dentist is ready to perform the procedure, he or she will use a rubber dam to isolate the tooth that needs the procedure performed. You will receive a local anesthetic and then your dentist will drill a small hole into the center area of your tooth. 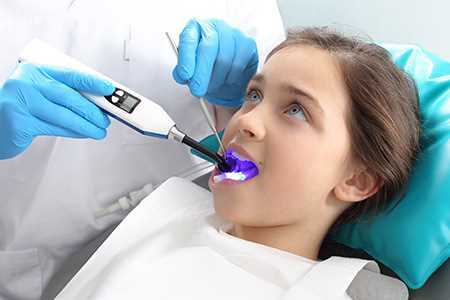 Next, your dentist will then use special tools to enter the tooth and remove the infected pulp and nerve. Once the nerve and pulp are removed, the tooth will be cleaned out to remove any remaining bacteria that is present. After the tooth is clean inside, it will be filled, sealed, and a crown will then be placed over top of the tooth to protect it from any further damage or decay. Taking care of your teeth is important and if you do not, you may need to have multiple root canals performed due to severe tooth decay. Give Access Dental Care a call today to schedule an appointment with one of our skilled dentists.